The business portfolio is one of the most crucial factors for any organization. Why? Because it is about what the organization plans, sells, and stops to sell. The business portfolio must be based on the company’s mission, objectives and strategy, in order to fit the company’s strengths and weaknesses, philosophy and competencies to opportunities in the market environment. To stay in business, a healthy and balanced, innovation-driven portfolio is absolutely crucial! Designing the business portfolio involves analysing the company’s current portfolio by a portfolio analysis, which is addressed here, before strategies for growth and downsizing can be developed. 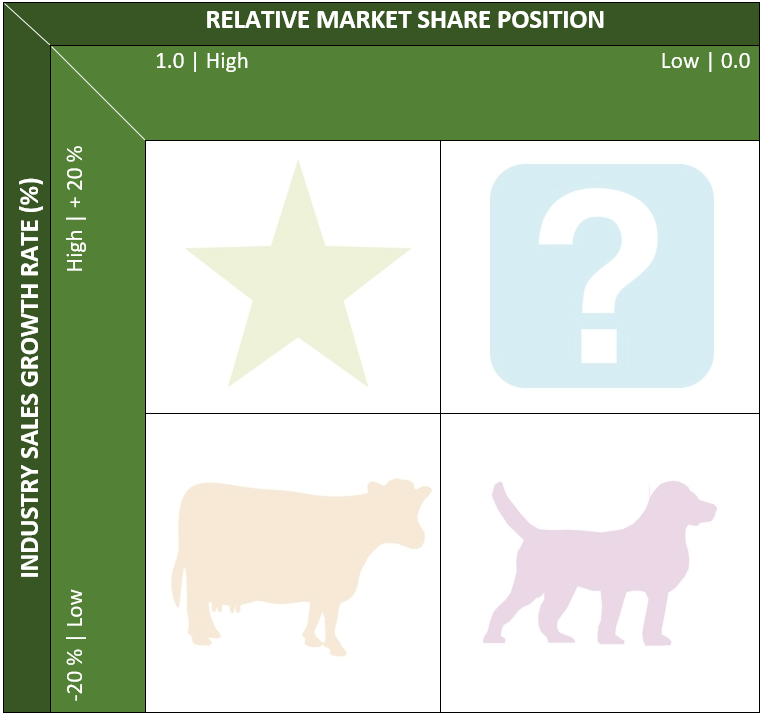 The Boston Growth-Share Matrix, developed by the Boston Consulting Group, is a very helpful tool for the portfolio analysis.